Innovative Learning Week (ILW) is the University of Edinburgh’s festival of creative learning which takes place in mid-February each year. Currently in its fourth year, it is a week-long programme which gives staff and students an opportunity to learn in new ways. 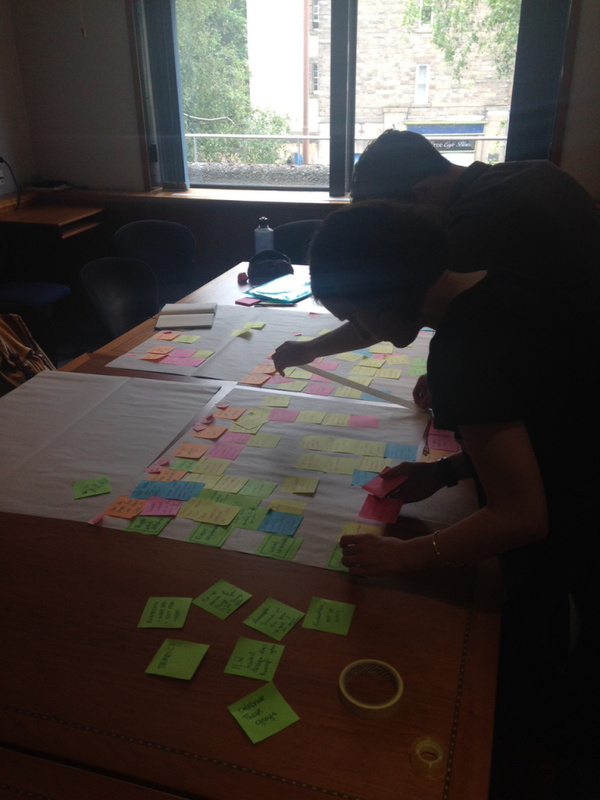 We’re currently working with ILW in refreshing and rethinking their strategy and here’s how our first meeting went in their own words. I had a great first meeting with Snook to start rethinking ILW more as a programme of events throughout the year which support, inspire, and celebration innovation and learning. We began the day by doing a stakeholder analysis of the landscape around ILW. It’s an incredibly complex project with numerous different stakeholders and expectations. It was great to be able to discuss it with someone from outside of University community. From there we started a service blueprint which is ‘an operational tool that describes the nature and the characteristics of the service interaction in enough detail to verify, implement and maintain it.’ You can read more about it here. 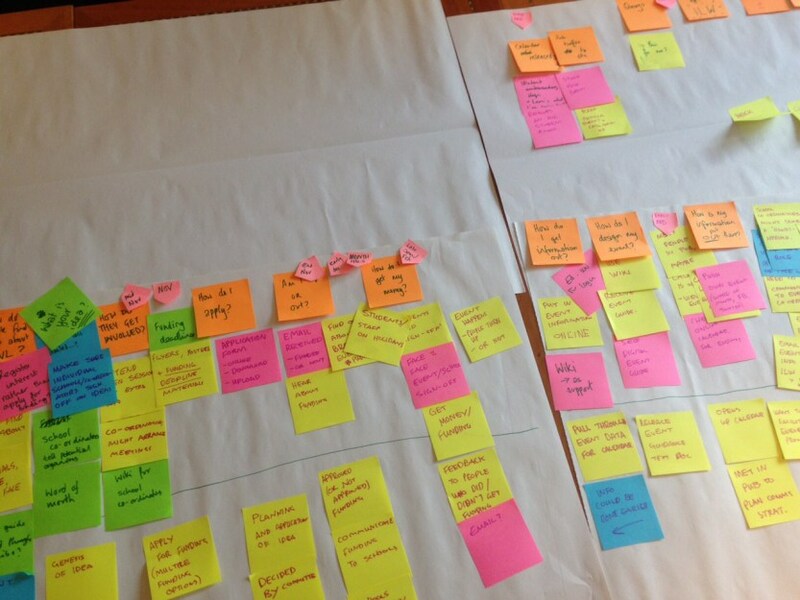 It’s incredibly useful because it not only maps out the actions, touchpoints, resources, and opportunities (all different colour post-its, of course) – but it requires you to see each step from the ‘back end’ and the ‘front end’ and the relationship between the two. The service blueprint helped us understand how we could better communicate the process and support those different target audiences – including our very special event coordinators! Throughout the day we collected questions and opportunities around innovation and learning which I’m really looking forward to exploring further throughout July. Snook’s process is underpinned by co-creating solutions and concepts with the people who will interact with or deliver the service. They lay a strong emphasis on ethnographic research to understand user behaviour and the context in which they are designing for. We want to be sure we are designing and delivering something that is relevant to our community and which works well for all involved, even those that aren’t directly involved in the events! 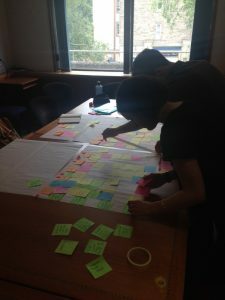 Snook will be spending July interviewing stakeholders from the spectrum of involvement in ILW to date in addition to facilitating a design workshop at the end of the month. Snook’s Keira and Sam will be supporting ILW at this hands-on workshop in which we will explore the process surrounding ILW, any barriers to this and potential solutions to overcome these. We will also take a look at potential tools which might further support the design and execution of successful events across the programme. An innovative approach to the design of Innovative Learning Week. Follow the process on their blog, Twitter and Facebook. Post and imagery are courtesy of ILW.